Welcome to Park|Park, an undulating landscape of mounds forged from construction debris and re-purposed materials. 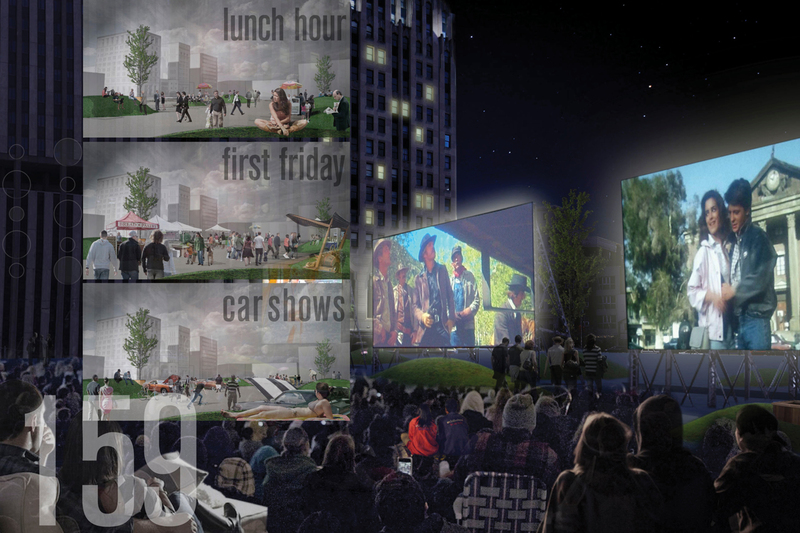 Day and night, weekdays and weekends, Park|Park is host to a series of events from the quotidian to the spectacle. The parking lot is not displaced but enhanced, offering the amenity infrastructure and outdoor open-space for the community to value. Sustainability is at the core of Park|Park, from the wood pallet structures to their synthetic grass skins discarded from sports arenas. During the day visitors run, climb, and lay upon the mounds shaded by inset box trees. At night, lights from the tire formed portals self-illuminate the transient parkscape. The parking lot maintains its function for the temporary storage of vehicles, but pockets of park are inserted upon its bays. Dimensionally, each mound is inextricably driven by the size of a parking space at 9’-0” x 18’-0“. 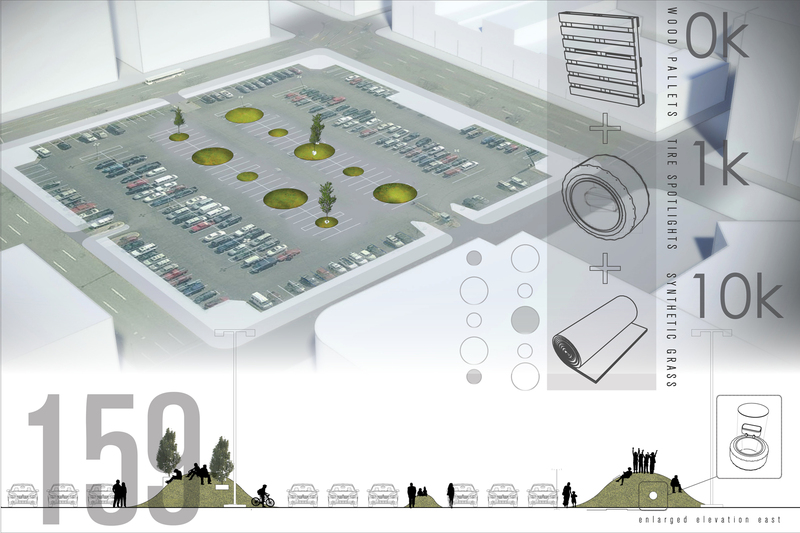 The gridded park of alternating 18’-0” and 36’-0” mounds re-inserts the human element to a cold and mundane flat-lot. Wedged between machines, the public park themselves between parked cars. Park|Park stands as Flint’s face to the world, a reminder of a past born from the automobile industry and of a future rooted in sustainability and its human drivers.